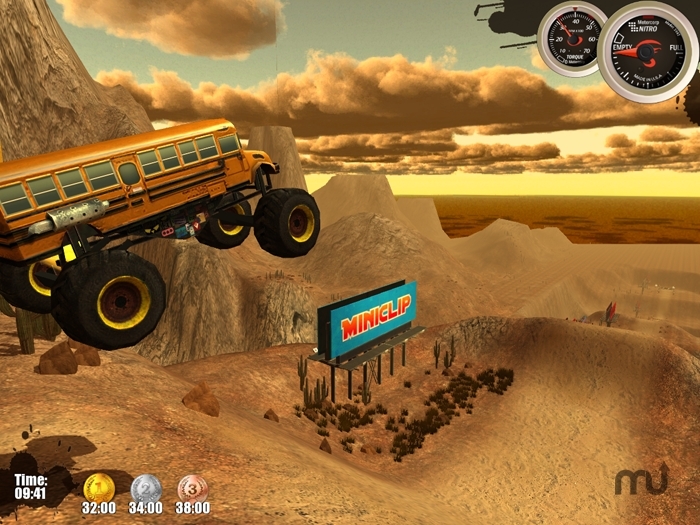 Race nitro-equipped monster trucks in this 3D game. Is there a better alternative to Monster Trucks Nitro? Is Monster Trucks Nitro really the best app in Action category? Will Monster Trucks Nitro work good on macOS 10.13.4? Monster Trucks Nitro is a game where you race, jump and nitroboost your massive Monster Trucks over crazy cool tracks. Race your way through thrilling dynamic levels with your monster trucks. Earn medals while unlocking new levels and vehicles. Collect the Nitro tanks to unleash special powers! Monster Trucks Nitro needs a rating. Be the first to rate this app and get the discussion started!